Bella is working hard in a fashion industry company. She comes from a strong, large Italian family with lots of cousins and aunts and uncles. She doesn't date, and has fears because of her sister's bad experience with an abusive man. She is strong, but quiet, and when her cousin does something stupid landing him into a trouble with a criminal business man, she is forced to help pay his debt. Bella is unaware of her immediate and extended families connections to modern organized crime and some criminal activities. While on a trip with friends she meets two fantastic men who she falls in love with and wants to give her virginity to, but back home Colosar Miantelli wants her as his own woman and to pay off her cousins debt or he will set fire to the families multiple businesses putting everyone in the Costanza family at risk to lose it all. 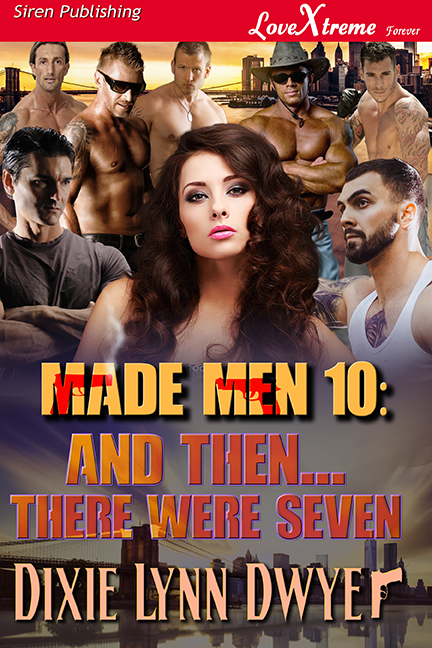 Unbeknownst to her, the men she falls in love with are made men too, have connections to the business man who is forcing a claim to her, as well as her cousins' who have secrets of their own. ORDER HERE AT SIREN TO ALL MAJOR E-READING DEVICES.